With Finance Minister Tito Mboweni set to deliver the mini budget at 14:00, here are 10 big topics Fin24 expects the minister to address. President Cyril Ramaphosa in September announced an economic recovery plan, which requires R50bn of the fiscus to be reprioritised in order to fund economic boosting measures in the agriculture sector, as well as infrastructure development. Analysts have shared views that the economic stimulus package would feature prominently in the mini budget, as government has no source of new income and will have to shift funds from underperforming areas to those which can boost the economy. Escalating fuel prices, in addition to the 1% hike in VAT, has placed increasing pressure on consumers. Government intervened in limiting the fuel hike in September to 5c/l, before raising fuel prices by R1/l this month. The minister could weigh in on fuel prices and whether a ceiling will be put in place. FNB chief economist Mamello Matikinca said in a report ahead of the mini budget that the general fuel levy makes up 6% of national revenue. Collections for fuel are up 10%, versus the target of 8.6%. 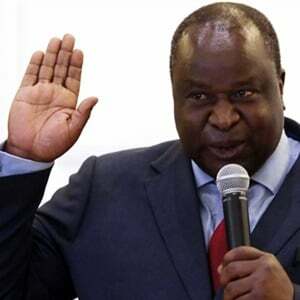 Over the weekend Mboweni told ANC members attending the Kader Asmal memorial lecture at the Cape Peninsula University of Technology that the public wage bill was too high. The minister explained that the majority of government expenditure goes toward salaries, leaving little for public services and capital investment. However, Old Mutual Investment Group Head of Economic Research, Johann Els, noted in a report that it was agreed at the Jobs Summit not to cut jobs for public servants. The Minister may discuss options to cut the public sector wage bill – for example by freezing posts following voluntary resignations, or possibly offering voluntary retrenchments. Following the VAT hike, a VAT panel was set up to determine a way to mitigate the effects of the hike on the poor. The panel has been responsible for reviewing items to be included on the current list of 19 zero-rated items. So far, the public have made submissions to Treasury and Parliament's Standing Committee on Finance on the VAT panel's report, released in August. The VAT panel had proposed four additional items – nappies, sanitary pads, white bread and flour, and school uniforms. The minister could shed light on whether the list will be expanded, and further processes to alleviate pressure on the poor. 5. Will Mboweni see green shoots and SA exiting its recession? The SA economy entered into a technical recession in the second quarter of the year. So far the IMF, World Bank and the SA Reserve Bank have revised down growth projections; similarly, some local banks have revised down their projections too. Treasury's mini budget will outline the economic outlook, which will provide details on possible green shoots, and will also indicate any revisions to the 1.5% growth projection it set in the February Budget. Mboweni will likely give an update on Treasury's deficit targets, which may also need to be adjusted, given weaker growth. Analysts expect the deficit to widen to 4.1% of GDP at most. Risks to this expectation stem from weaker-than-anticipated tax collections. The mini budget will also indicate if government is on track and complying with its expenditure ceiling. Over the past few years, SARS has undershot its expected revenue – which contributed to Treasury's decision to implement a VAT increase. Mboweni may give an update about whether the 1% VAT increase has closed the funding gap, and whether SARS has improved its revenue collection capabilities. Analysts have noted that the VAT hike helped keep revenue collections ahead of target. Matikinca highlighted that August 2018 figures show national government revenue is up 11.2% against the budget review target of 10.5%. Treasury has given SARS a target of R1.345trn to collect. The revenue service is undergoing an inquiry into its governance and administration, led by Judge Robert Nugent, who in an interim report indicated that under suspended commissioner Tom Moyane, revenue collections were compromised. Mboweni's predecessor Nhlanhla Nene delayed introducing draft legislation to amend the SARS Act, pending outcomes of the Nugent inquiry. Fin24 expects Mboweni to give an update on the legislation processes as well as the stance Treasury has taken on Nugent's interim report, which recommends Moyane be removed from his position and be replaced. Last year's mini budget unpacked the extent of the risk placed on the fiscus through several state-owned enterprises (SOEs), reliant on contingent liabilities from government. Mboweni could weigh in on the impact of reforms at SOEs meant to address governance and management of public funds. Main opposition party, the DA, has called for privatisation or part-privatisation at national airline, SAA, and power utility, Eskom. Also over the weekend, Mboweni shared views on state capture – labelling it a "great public sector heist". The minister could comment on steps Treasury has taken to improve accountability regarding supply chain management processes in line with procurement policy at SOEs and other government departments. 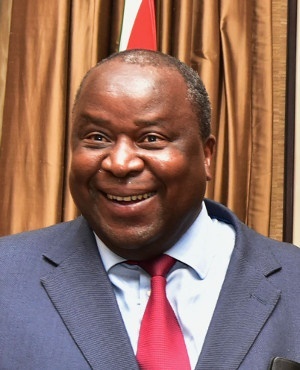 Fin24 further expects Mboweni to discuss the VBS Mutual Bank matter – it is Treasury's instruction to municipalities to withdraw their deposits from the mutual bank last year as they were in contravention with the Municipal Finance Management Act, which led to the liquidity crisis at the bank. The Reserve Bank placed the mutual bank under curatorship this year and has since released a report following investigations. The mini budget is a policy framework and will unpack how government intend to prioritise its spending over the next three years. Announcements about tax rates are only expected in the February budget. Analysts have pointed out that next year is an election year - which could possibly affect the implementation of policies.